Jan. 30, 2009, 9 a.m.
Endowing every U.S. newspaper: $114 billion. Innovation: Priceless. By Zachary M. Seward @zseward Jan. 30, 2009, 9 a.m.
That’s what it might cost to create an endowment large enough to sustain every American newspaper in perpetuity as non-profit organizations. But don’t take that figure too seriously, please. It’s just a thought experiment prompted by this week’s chatter about non-profit journalism. I’ll explain. 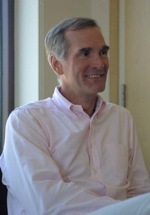 David Swensen, the acclaimed chief investment officer at Yale, and his colleague Michael Schmidt kicked off the discussion on Tuesday with an op-ed in The New York Times that explored the merits and plausibility of endowing newspapers to ensure their survival. They estimated that the Times would require a coffer of $5 billion to support its newsroom in perpetuity — or roughly the endowment of Cornell University. Social media blogger Allison Fine called the piece “downright stupid,” but others were intrigued: Steve Coll carried the argument further on his New Yorker blog, picking up some support from Portfolio’s Felix Salmon, while journalism professor Leonard Witt took the proposal in a different direction. What the discussion has been missing, however, is some good data — and a reality check. So I called up the man whose blog I always rely on for hard figures and astute analysis of the newspaper industry: Alan Mutter, former city editor of the Chicago Sun-Times and now a media consultant at Tapit Partners. Mutter is skeptical of “getting a foundation to bail out an unprofitable business” and warned me: “It doesn’t matter whether you organize as a for-profit business or a non-profit business. If the inflow and outflow of money are not appropriately balanced, that enterprise will fail.” But he kindly indulged my curiosity about what exactly it would take to endow the editorial sides of American newspapers. All of this math assumes that we’re trying to fund an online-only news organization that does not sell advertising or subscriptions but pays the same number of journalists and the same salary as the newspapers we’re trying to replace. Whether anyone should attempt such a thing is for another day, but I hope these back-of-the-very-rough-envelope calculations add some data to that discussion. If you’re willing to douse these estimates with more salt than a bag of potato chips, you could apply to the same logic to bigger newspapers like the Los Angeles Times, which Mutter estimated has a cost per head of $150,000 in the newsroom. In the good ole days, the Times employed 1,300 journalists, so to sustain such an operation again, we’re talking about an endowment of $4 billion, the size of the Rockefeller Foundation. The New York Times would probably require something on the order of the Mellon Foundation. And if you wanted to endow all 56,900 journalists who were working for American newspapers at their height in 1990, assuming an average of $100,000 per head? Well, that would take at least $114 billion — or the ten largest foundations in the U.S. combined. A lot of people think of independent media as being synonymous with nonprofit media — either intentionally nonprofit or accidentally nonprofit. But nonprofits get their money from somewhere, from foundations; now those foundations tend to have a much more benign set of “asks” of the organizations they support than advertisers do. But it still limits independence. In my experience, and I get criticized for saying this sometimes, at the [nonprofit] magazine that I worked for before I started TPM, the fact that our continued existence was not based on size or interest level of our readership allowed us to be cut off and not particularly in touch with what our readership had a fine interest in. I think that was not just bad in business terms, but much more importantly, bad in journalistic terms. I actually think that for the independent media sector to be independent and vital in a deep way, it needs to be not only rooted in the nonprofit sector, but again, in for-profit terms. POSTED Jan. 30, 2009, 9 a.m.
Seward, Zachary M.. "Endowing every U.S. newspaper: $114 billion. Innovation: Priceless.." Nieman Journalism Lab. Nieman Foundation for Journalism at Harvard, 30 Jan. 2009. Web. 19 Apr. 2019. Seward, Zachary M.. "Endowing every U.S. newspaper: $114 billion. Innovation: Priceless.." Nieman Journalism Lab. Last modified January 30, 2009. Accessed April 19, 2019. https://www.niemanlab.org/2009/01/endowing-every-american-newspaper-114-billion-innovation-priceless/. | title = Endowing every U.S. newspaper: $114 billion. Innovation: Priceless.